Staz De Stout describes himself as an “eclectic entrepreneur” who enjoys starting new businesses and proudly says he’s never worked for anyone. 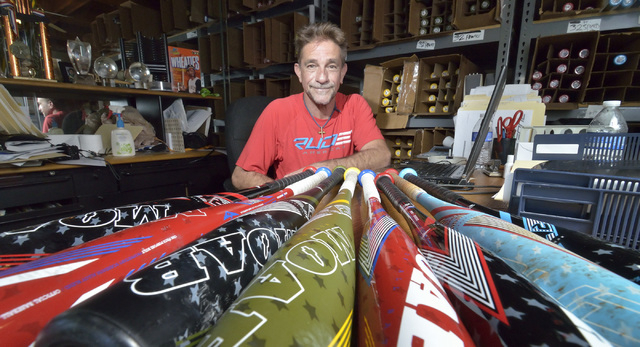 These days De Stout has turned his entrepreneurial skills to starting Rude American, a local company that sells baseball and softball bats. He got the idea after seeing his kids go through youth leagues and calculating all the money parents spend. De Stout knows his Henderson-based company faces an uphill battle competing against larger companies – familiar names such as Easton, Rawlings, and Louisville Slugger — that have a strong presence in big-box retail stores. 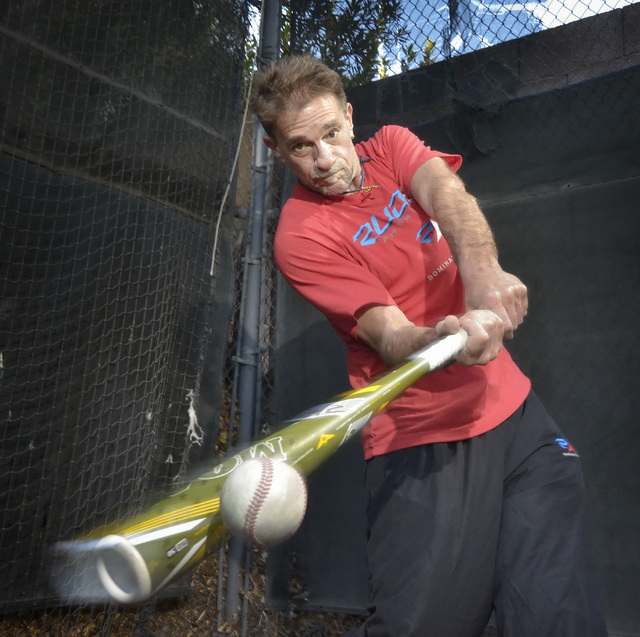 His grass-roots marketing plan is to put the Rude American MOAB – Mother of All Bats – into the hands of the athletes and let them compare the demos with the player’s own favorite bat. De Stout does this by going to where the players are. On Jan. 17-18, Rude American set up its inflatable batting cage at the Big League Dreams event in Las Vegas. The next weekend, Rude American was at Big League Dreams in Chino Hills, Calif., and the following weekend in Gilbert, Ariz. The buzz generated through Rude American’s marketing plan, word-of-mouth advertising from satisfied players, its website and social media presence has increased sales. De Stout has seen an increase in sales through Baseball Express, the second-largest bat retailer in the world, which has a destination retail store in San Antonio. Through Baseball Express, Rude American is also planning an email blast to 700,000 of Baseball Express’ followers, which De Stout said should lead to some explosive growth. One way to get a piece of the growing baseball/softball industry is to get their products approved for play in the youth leagues, but De Stout said that isn’t easy. In 2014, Rude American’s youth bat got the U.S. Sports Specialty Association’s 1.15 Bat Performance Factor seal of approval and has just launched its Little League-approved bats. The bats are also approved for play in Babe Ruth, Dixie Youth, Pony League and the American Amateur Baseball Congress leagues. In 2013, the Rude American bat was approved for play in fast-pitch softball. 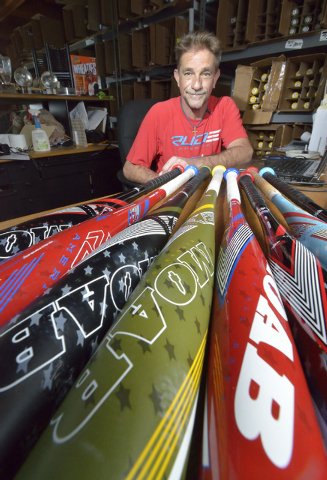 De Stout said one reason Rude American’s bats are becoming a favorite for players in the youth leagues all the way up to the collegiate level is that the MOAB exceeds the performance standards set by the leagues and is still legal for play. The bat – which features a power model and a speed model – gives players a competitive advantage. He said independent tests show that balls come off the MOAB with an increased speed between 3 to 5 mph, which can be the difference between a fly ball out or a home run, or a routine ground out into a ball with enough speed to get through the infield. 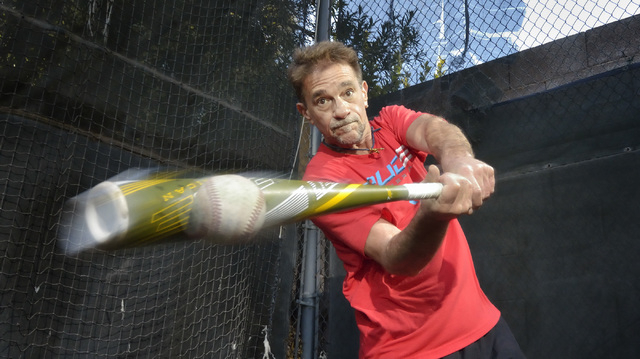 Bill Madlock, a four-time National League batting champion, gives hitting instructions in Las Vegas and Chicago. He said everyone he works with – from kids to adults – who tries the MOAB ends up loving it. 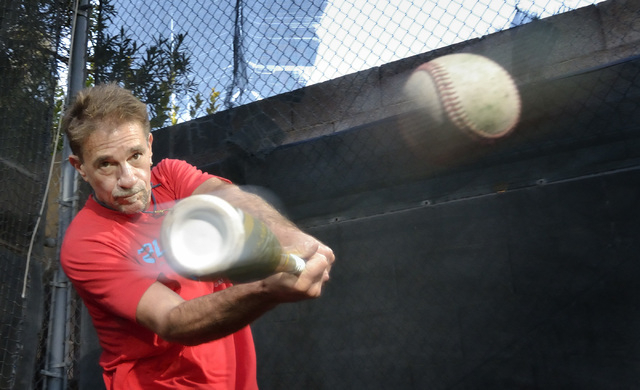 De Stout is planning to expand Rude American’s product lines, including developing a slow-pitch bat. 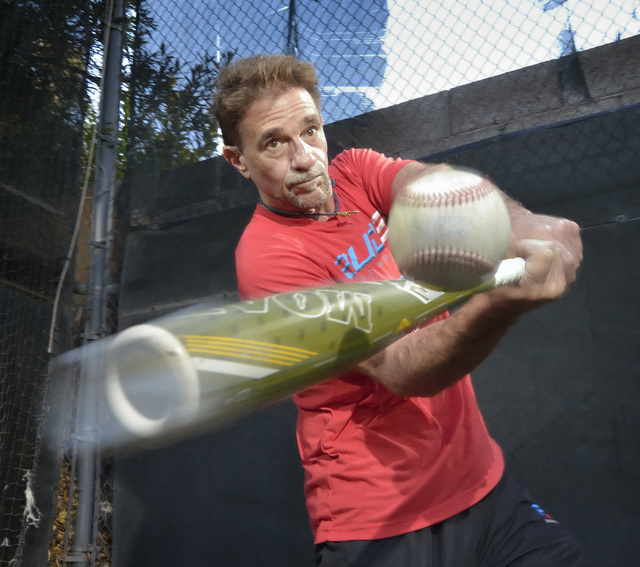 The company already sells an inflatable batting cage it designed, and is developing batting gloves, equipment bags and helmets.